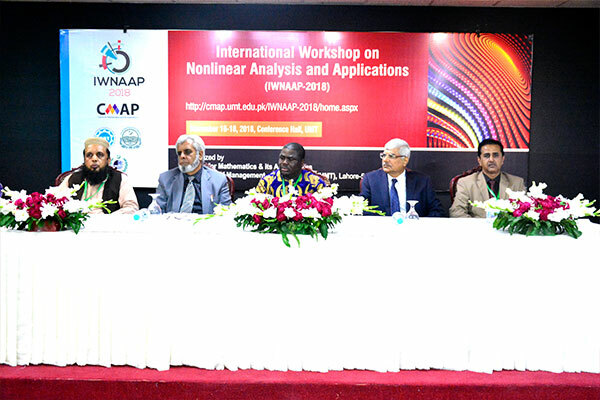 An opening ceremony of the 3-day International Workshop on Nonlinear Analysis and Applications (IWNAAP-2018), organized by Centre for Mathematics and its Application (CMAP) was held at the Conference Hall, UMT. It was attended by large number of renowned scholars, mathematicians and researchers. 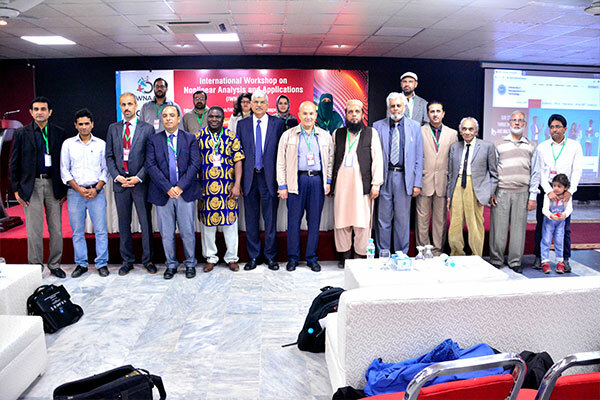 Prof Dr Abdon Atangana, University of Free State, Kentucky, USA, and Prof Dr Fahd Jarad, Cankaya University, Turkey, were chief guests on the occasion. 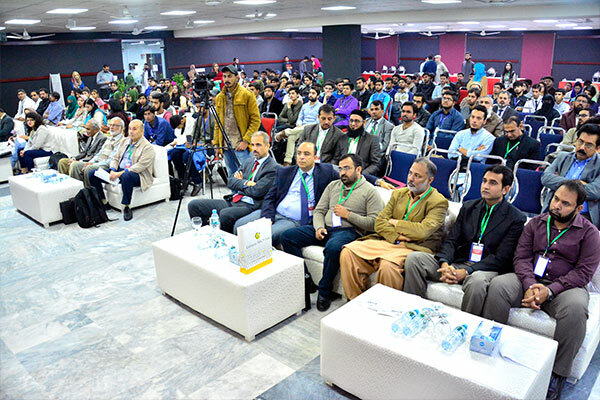 Dr Muhammad Aslam, Rector UMT, highlighted the importance of Mathematics in everyday lives and placed emphasis on various collaborative opportunities for the development of discipline in Pakistan. 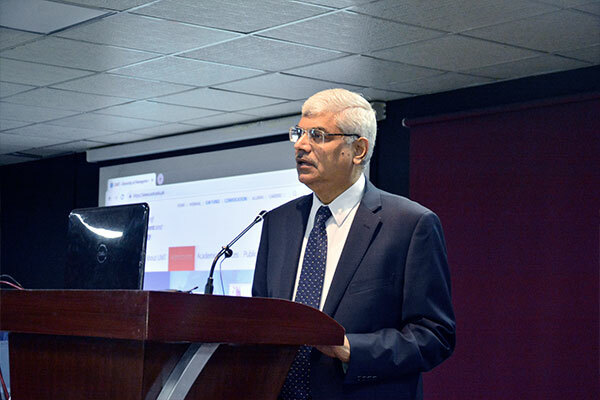 Dr Muhmmad Aziz-ur-Rehman, Associate Professor, School of Science, chaired the workshop and warmly welcomed the guests. 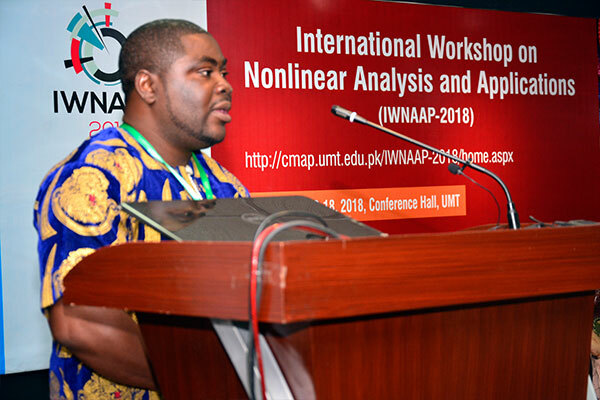 He stated that Nonlinear Analysis plays a major role in the advancement of science and technology and this workshop will provide the basic theoretical tools to solve real world problems. 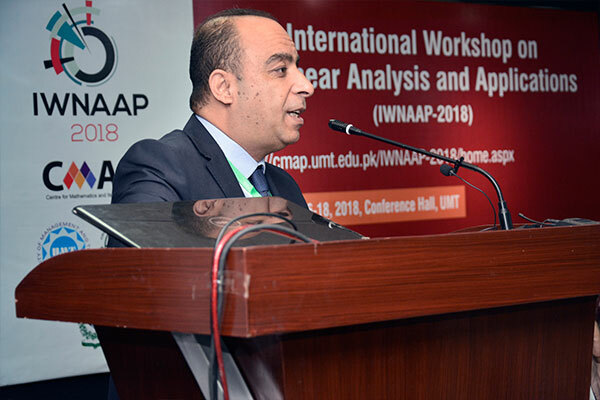 Prof Dr Muhammad Azhar Iqbal, Dean, School of Science, said that the role of IWNAAP is to build an interaction among all nonlinear analysts from Pakistan and abroad. Prof Dr Abdon Atangana and Prof Dr Fahd Jarad thanked UMT for their warm hospitality and appreciated the efforts of UMT for organizing a workshop at a massive scale, which is playing a leading role in bringing national and international scholars at one platform. At the moment 9 international speakers and 16 national speakers are participating in the 3-day workshop. A large number of researchers, faculty and students will be joining the parallel.